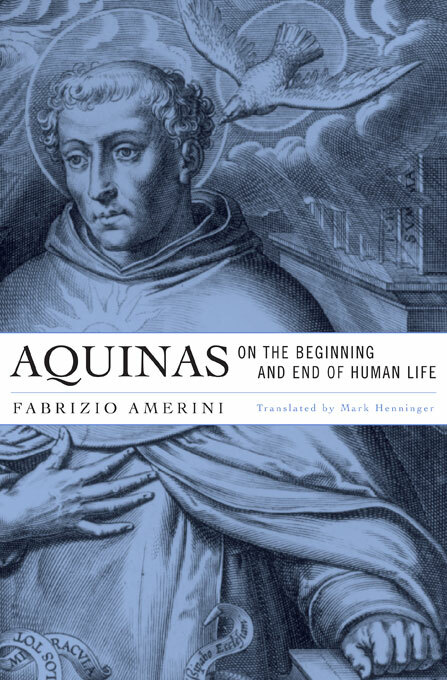 This June, Harvard University Press will publish Aquinas on the Beginning and End of Human Life by Fabrizio Amerini (University of Parma), translated by Mark Henninger (Georgetown University). The publisher’s description follows. In contemporary discussions of abortion, both sides argue well-worn positions, particularly concerning the question, When does human life begin? Though often invoked by the Catholic Church for support, Thomas Aquinas in fact held that human life begins after conception, not at the moment of union. But his overall thinking on questions of how humans come into being, and cease to be, is more subtle than either side in this polarized debate imagines. Fabrizio Amerini—an internationally-renowned scholar of medieval philosophy—does justice to Aquinas’ views on these controversial issues. Some pro-life proponents hold that Aquinas’ position is simply due to faulty biological knowledge, and if he knew what we know today about embryology, he would agree that human life begins at conception. Others argue that nothing Aquinas could learn from modern biology would have changed his mind. Amerini follows the twists and turns of Aquinas’ thinking to reach a nuanced and detailed solution in the final chapters that will unsettle familiar assumptions and arguments. Systematically examining all the pertinent texts and placing each in historical context, Amerini provides an accurate reconstruction of Aquinas’ account of the beginning and end of human life and assesses its bioethical implications for today. This major contribution is available to an English-speaking audience through translation by Mark Henninger, himself a noted scholar of medieval philosophy.